The series is multilingual, with English subtitles. It is produced by Gunga7 (formerly DiPrente). The Season 1 writers include Kagiso Lediga, Hugh Masekela, Karabo Lediga, Themba Vilakazi, Camilo Saloojee, Muzi Dlamini, Christopher Steenkamp, Mojak Lehoko, Loyiso Madinga, Nina Hastie, Dusty Rich, Stig Sesanti, Tats Nkonzo, Mo Mothebe, Donovan Goliath, Jason Goliath, Jason Cope and Reabetswe Moeti. 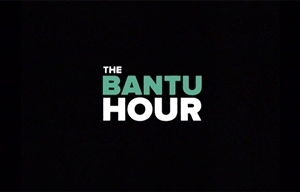 Season 1 is directed by John Barker, Kagiso Lediga and Karabo Lediga. The executive producers are Hugh Masekela, Themba Vilakazi, Kagiso Lediga, John Volmink, Isaac Mogajane, Luke Henkeman and Nomsa Daniels. Tamsin Andersson is a producer. The Season 2 writers include Kagiso Lediga, Hugh Masekela, Karabo Lediga, Themba Vilakazi, Bugzito Seagiso, Muzi Dlamini, Sarah Jane, Robby Collins, Meryl Collins, Christopher Steenkamp, Mojak Lehoko, Loyiso Madinga, Luzuko Sotshononda, Bongani Dube, Siyabonga "Stig" Sesanti, Ebenhaezer Dibakwane, Lazola Gola and Mo Mothebe. The head writer is Camilo Saloojee. Season 2 directors include Kagiso Lediga, Karabo Lediga and Tumelo "Mello" Marupa. The executive producers include Hugh Masekela, Themba Vilakazi, Kagiso Lediga, John Volmink, Isaac Mogajane, Luke Henkeman and Nomsa Daniels. Tammy Lewis-Houghting and Tamsin Andersson are producers.